Students take field trips or school trips at least once a year. San Francisco Limo would like to facilitate this yearly event by providing mini shuttles or coach buses to accommodate the number of students attending. We understand the level of stress that comes with chaperoning kids and making sure that every kid is accounted for and travel safely. That is why parents and teachers will be assured to know that our professional chauffeurs are licensed and that all of our vehicles are maintained to high standards, insured, and inspected regularly. We take full responsibility in delivering safe, reliable, and on-time transportation to any destination. Our buses are designed for comfort and style and equipped with an entertainment system. 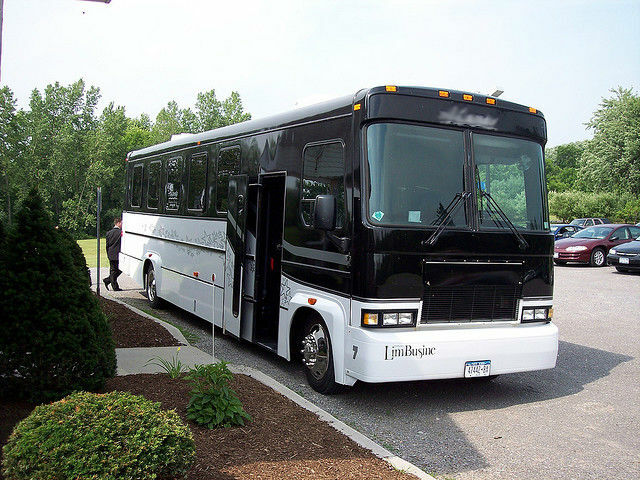 Take a ride in one of our coach buses! We won't disappoint! In fact, once you ride with us, you won't be able to go back to riding in a "yellow school bus" again. You and your students deserve upgraded transportation and upgraded service. Teachers simply focus on the kids and enjoying the trip. Let us focus on getting you to and back in ease and safety. Give us a call at 415-801-3355 or fill out the FREE quote form to the right and we will be sure to get back to you shortly!